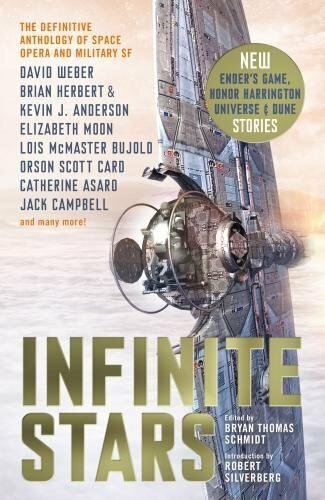 The book contains an entirely new 16,000 word story of mine, entitled "Night Passage", which happens to be set in the Revelation Space universe. The story revolves around the discovery of the first "Shroud", a class of alien artefact which goes on to play a significant role in the future history. My story took about five years to write, so I am very pleased to finally see it both completed and in print. Looks like a great collection. I read a lot of these authors. Hi AR! Just wanted to say that I really enjoyed "Night Passage" and it was great to visit the Revelation Space universe again. It will never get old for me. There's just something about that universe in all its wonder and brutality, all the worldbuilding you've done and the small details that make it feel so real. I especially like getting glimpses of other lighthugger crews, with different priorities and morals. I believe this is the fourth now, counting the crew of the Nostalgia for Infinity, the crew in "Weather," and those serving on the Gnostic Ascension under Queen Jasmina. I'm wondering, would Captain Bernsdottir and her crew be considered Ultras? Or does the concept of Ultras come into play only after the Conjoiners stopped building their drives and lighthuggers became scarce? I get the impression that, once the Conjoiners put a moratorium on creating new c-drives, lighthuggers became pretty much the most valuable items in human existence. It makes me wonder how some of those crews came to be in possession of them. Hi Nik. I had to think for a moment but there's also the crew in the story "The Last Log of the Lachrimosa" which you may not have seen as we haven't collected it yet.